Viscount Plastics provides services and solutions of materials handling, industrial and packaging products. Venus Packaging provides all things packaging from netting, packaging adhesives and packaging machinery, to fit any of your farming needs. Venus Packaging also stock ladders, pallet jacks and hand trucks. RWE Packaging specialises in the supply of packaging products for the wine industry. Propac Industrial offer customers high quality, wholly Australian designed and manufactured packaging machines which can be confidently interfaced with all weighing and filling equipment. 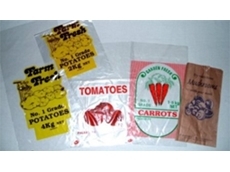 YV Packaging specialise in produce packaging. 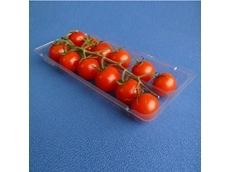 Rohlf Strawberries specialises in the manufacture of a lightweight and stronger alternative to styrofoam packing containers or picking trays suitable for the harvesting, packing, storage and transportation of fruit and vegetable produce. H. Polesy & Co is a leading supplier of textile and packaging products to many industries in Australia and New Zealand. 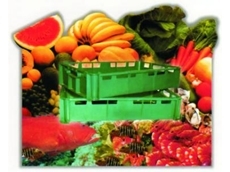 06/10/11 - SA Crate provides a full range of high grade, re-enforced cardboard produce cartons to suit all types of fruits and vegetables. 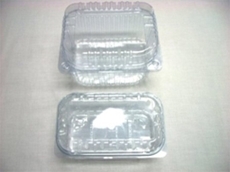 25/07/11 - Available now from Rohlf Strawberries, the Lite Crate fruit packing tray is a lighter but stronger and more practical alternative to styrofoam containers. 15/12/10 - Multisteps introduces the PET range of cherry tomatoes punnets, approved by NMI as per AS 2070:1999 for food contact use. 29/07/08 - The X155 carton, offered by RWE Packaging, is ideal for standard Claret bottles. The approximate turnaround of the X155 carton is 1-3 days. The X159 carton, provided by RWE Packaging, is suitable for L/WGT Burgundy bottles. 28/07/08 - RWE Packaging is a supplier of packing products for the wine industry. RWE Packaging offers a diverse range of tailor made products to customers as per their requirements.